Bumped for later listeners and Slate Serial podcast rants/raves! Note for people who haven't listened, this is a longer episode. Serial is heading back to court—this time, in Cleveland. Oh boy, there is A LOT to unpack this week. The episode starts out with an interview with Stella, one of the jurors who convicted Adnan. They discuss Jay's demeanor on the stand and what made him so believable. He was careful in choosing to stick to yes and no answers, but when he would elaborate he would speak in incredibly poetic terms. Christina Gutierrez's tactic seemed to be to bore the jurors and try to crack Jay with her drawn out questions or to resort to shouting when she didn't get an answer clear enough. Christina questions if Jay had been cheating on Stephanie with Jen, a question I had been wondering about myself. We then meet the detective working on the case, an actual detective, who states that this case is a lot cleaner and above board than usual for suspicious trials. But there are still questions, like what happened in those 3 hours before the tape recorder was turned on? The detective notes that Jay's testimony was like handing the prosecution the whole murder case on a silver platter. Then, Sarah and Julie go to talk to Jay. He seems tired, they say. He has an animal rage in him because he's upset with Adnan for not manning up. He's intense, but calm. They can see why a jury would believe him. Eventually he declines an interview. From there we hear from a range of Jay's friends. There's a 3rd story to how all of this happened! Was he at the pool hall? Did this all happen at the library and not Best Buy? Yes, Chris was telling this story 15 years later, but the skeleton of what he was telling are still there, you don't forget the broad facts of a story like this. We also hear a lot about Jay's character. He was a rebel, he was a sensitive soul, he stood out. He was beautifully unconventional. He's an alpha. He had a BMX belt buckle, who the hell has a belt buckle? He was a habitual liar. But he wouldn't lie about something so big, or would he? He mostly took care of himself. People were less shocked about his involvement, but those closest to him were definitely shocked. Stephanie was everything to him. All he ever wanted was to protect Stephanie. Stephanie has since completely shut down about ever talking about the case, even to people close to her. The jurors were told not to hold it against Adnan for not taking the stand, but they did anyway. So next week, we find out what Adnan was thinking during the trial. The Serial/Miley Cyrus mashup of Wrecking Ball is creepily fitting for Jay's narrative. I am more confused than ever. I recommend multiple listenings to this episode. Koenig hopes that listeners will get to know Lee more than they do now, but for now, she won't focus on her. "It's an upsetting story. A girl was murdered and it's horrible," says Koenig. "Getting people to talk to me about that and be honest with me about that is hard. For a lot of these people, even those not directly involved, this was the defining horror of their lives. It's hard for them." The Baltimore Sun confirms the difficulties Sarah has faced in telling Hae's story, noting that Hae's family could not be found for an interview. Dame Magazine takes the stance that it is acceptable to be hooked on Serial, emphasizing that not only is this an important piece of journalism, but it's a story that needs to be told about the justice system. 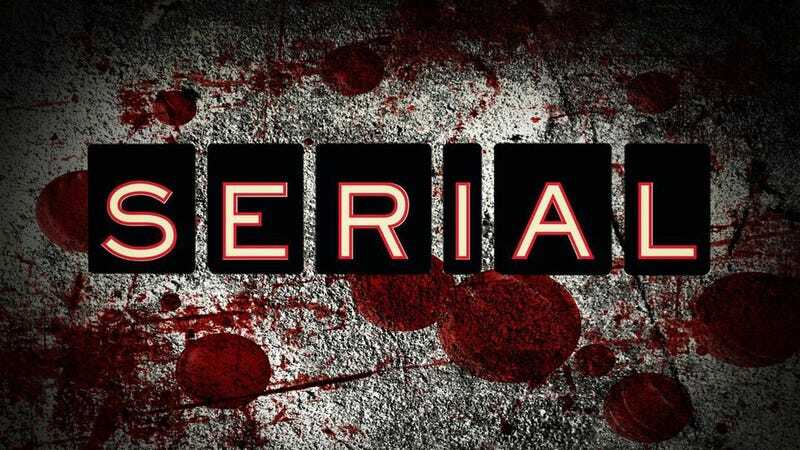 The article references other important pieces of crime journalism and emphasizes that while we are all drawn to the case and Sarah Koenig's brilliant storytelling, it is in no way meant to be taken as superficial or feel-good. In other Serial news, a Baltimore resident and regular commenter on the Serial Podcast subreddit has posted these two videos of the route taken by Hae's car and then tested by Sarah and Dana. And this has brought up some questions for me. Was the day of the murder also the day of the snow storm? I know it snowed for the following days and school had to be shut down. But if it was snowing, wouldn't that have slowed down the route as well as a lot of the driving in general? Perhaps I'm forgetting the details on the weather and will need to go back and take another listen. And for everyone who is having trouble keeping all of these people straight, Vox has created a comprehensive list of people involved.